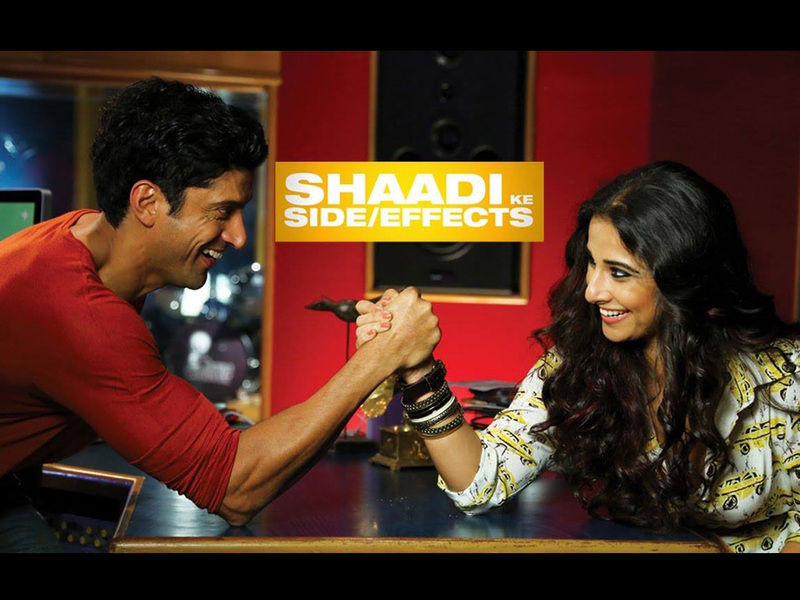 The star cast of “Shaadi Ke Side Effects” has been fresh and somewhat eye candy, meet Farhan Akhtar, husband aka Sid and Vidya Balan, wife aka Trisha. This Balaji Films production no doubt received mega hype and publicity and the curiosity to see a light hearted Farhan and a newly wed Vidya was also starved. The story is simple and a universal concept, man and woman married suddenly realize they want a child or don’t, their independence, responsibilities and fidelity are at the edge. So how to Sid and Trisha tackle these, what’s their journey like and what’s the lesson. There is not much lesson but an experience to see very good actors Farhan and Vidya in a marriage. There are no major wow moments in terms of direction by Saket Chaudhary, who has also written the story. This film is like a sequel to Saket’s earlier “Pyaar Ke Side Effects”. The music is bang on, which is normally the work of a Balaji Production and Pritish Nandy and Music Director Pritam doesn’t fail especially with the International Bhangra Star Jazzy B song “Harry’s Not a Brahmchari”. A few uplifted moments from Hollywood, for example the beginning scene of Mr and Mrs Roy meeting at a club like strangers is from Liev Schreiber film “A Perfect Man” and Sid’s studio at home and his moments there are like John Krasinski’s “Nobody Walks”. The freshness remains Farhan and Vidya, and the contributions by Ram Kapoor, Gautami Kapoor, Rati Agnihotri and Vir Dar were notable. Finally, it is a fun ride, enjoy.